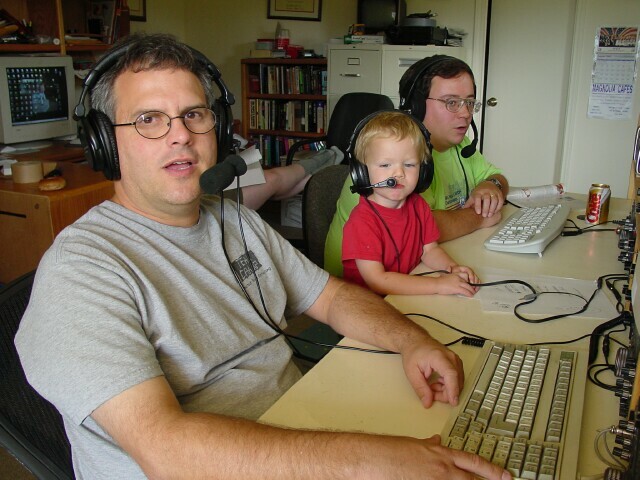 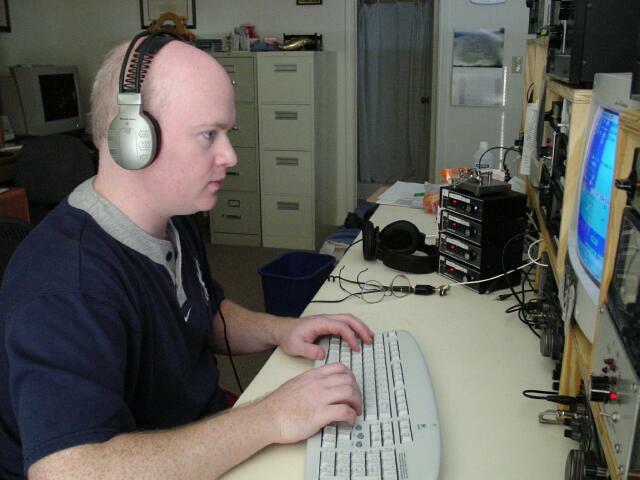 The current station setup - Feb 2005. 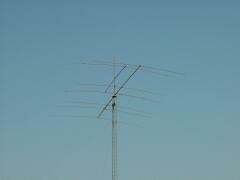 Details on the NW3Z designed OWA 20 meter yagis. 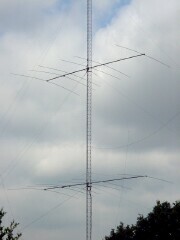 Details on the 6 element 10 meter yagis. 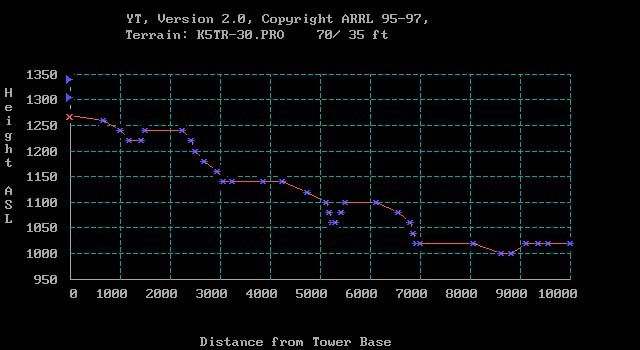 Terrain profile beaming 30 degrees. 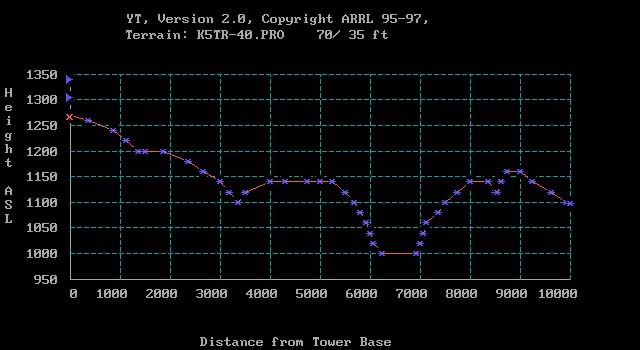 Terrain profile beaming 40 degrees. 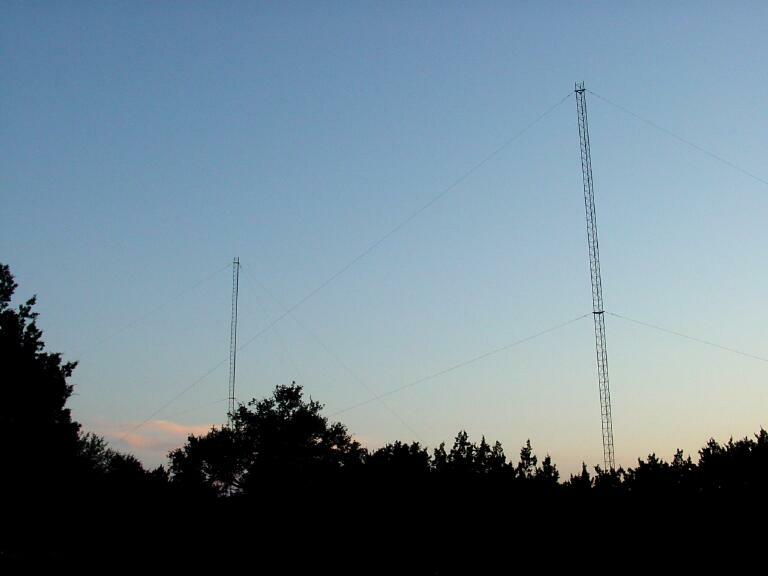 Line of sight plots from a 30' tower, 60' tower and a 120' tower. 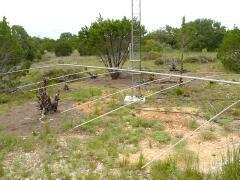 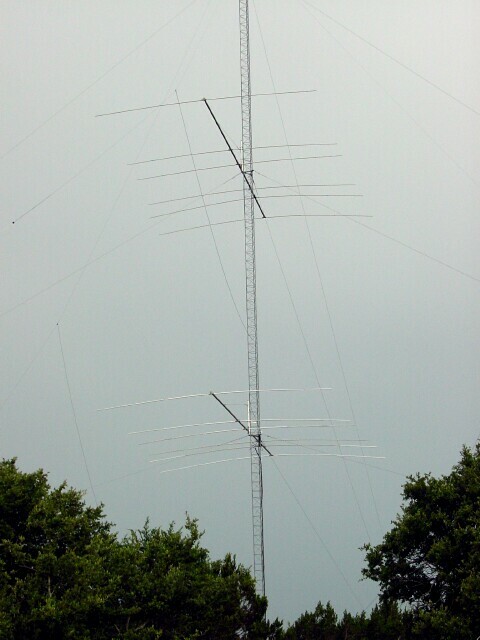 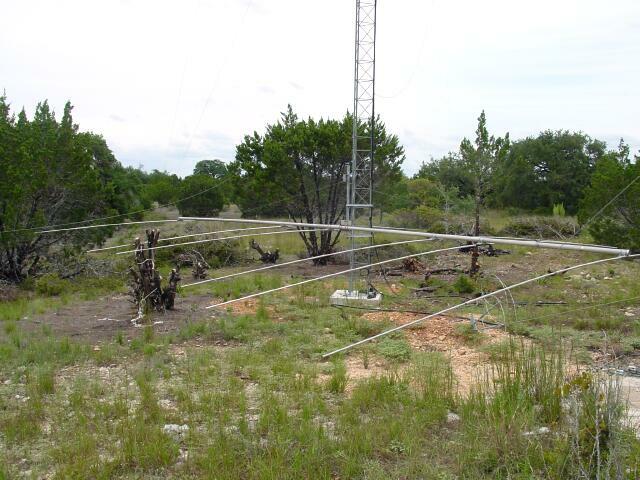 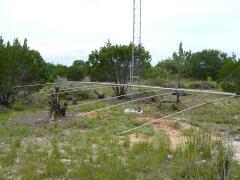 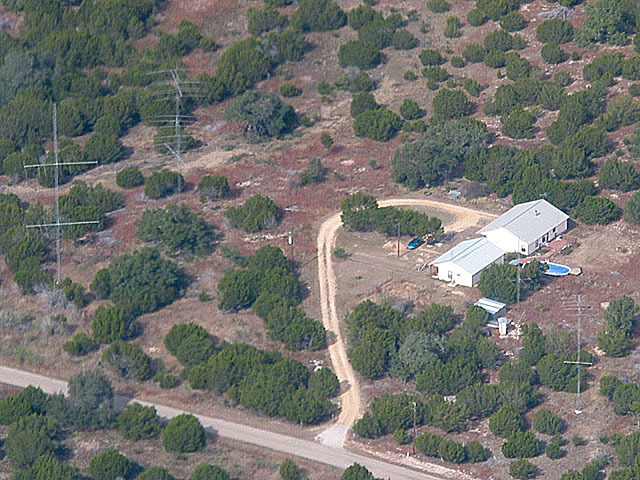 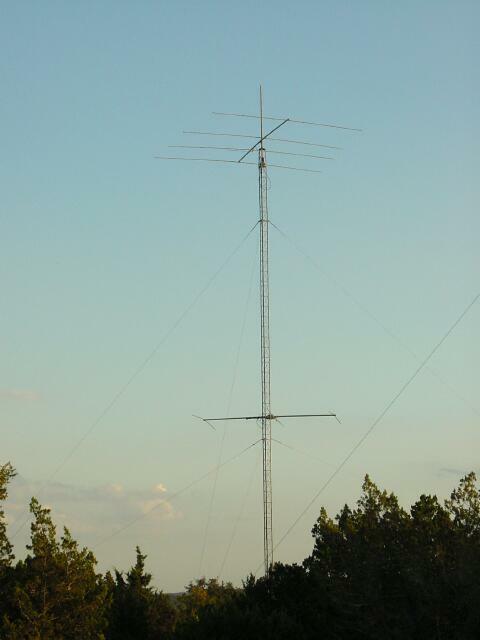 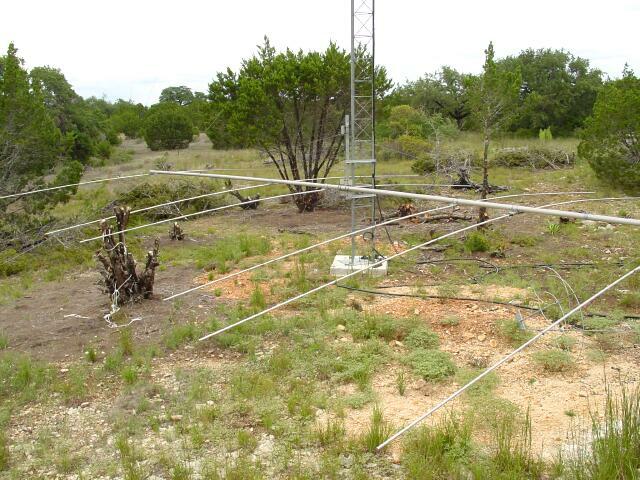 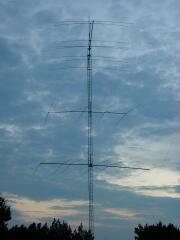 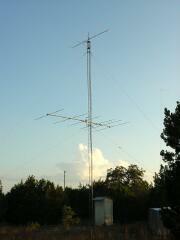 The 10m tower - 4 element yagt at 60' / 6 element yagi at 30'. 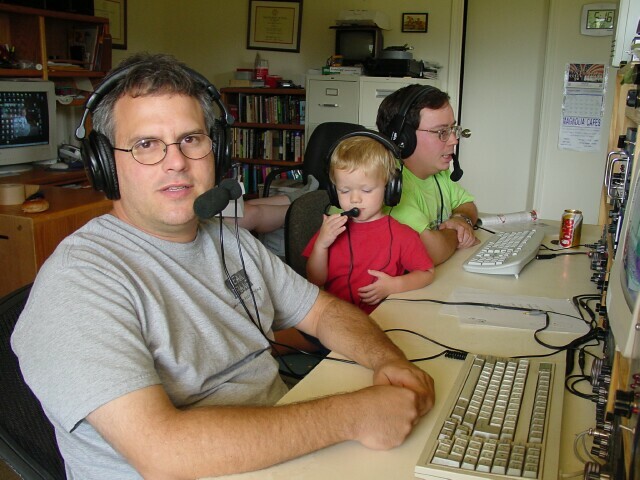 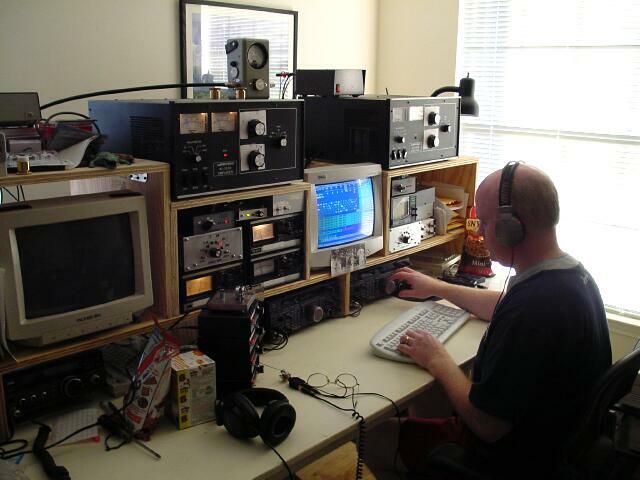 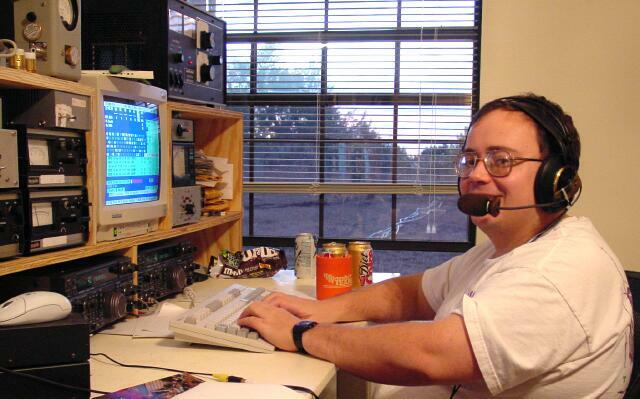 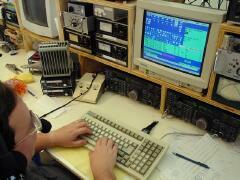 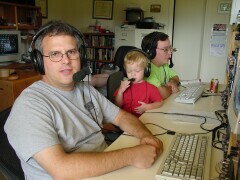 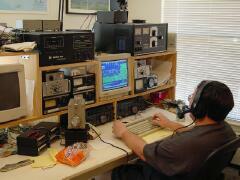 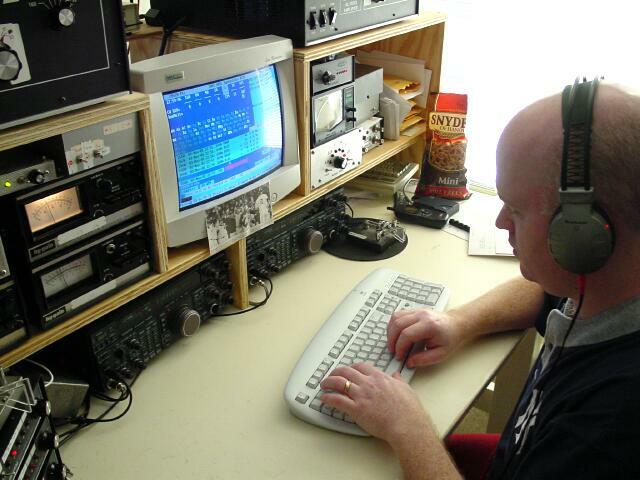 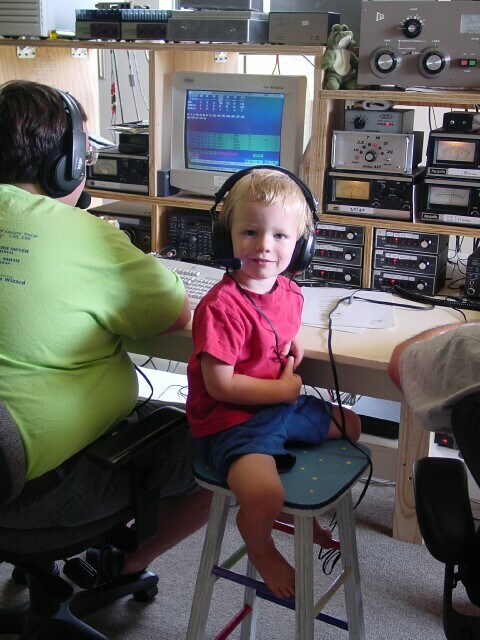 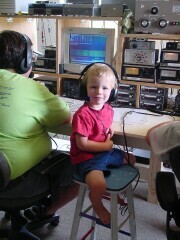 Ken - WM5R operating the ARRL 10m contest. 10 and 15 meter towers. 6 element 10 meter yagi on a 24' boom. 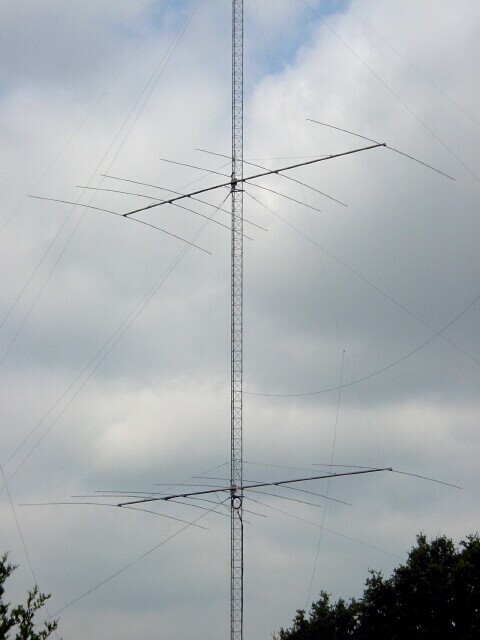 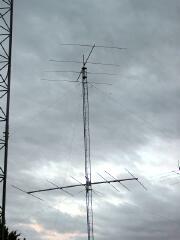 6 ele 20m yagi fixed NW @ 40'. 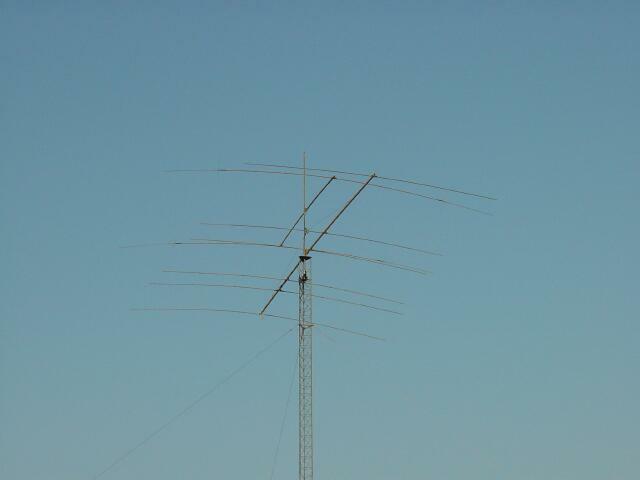 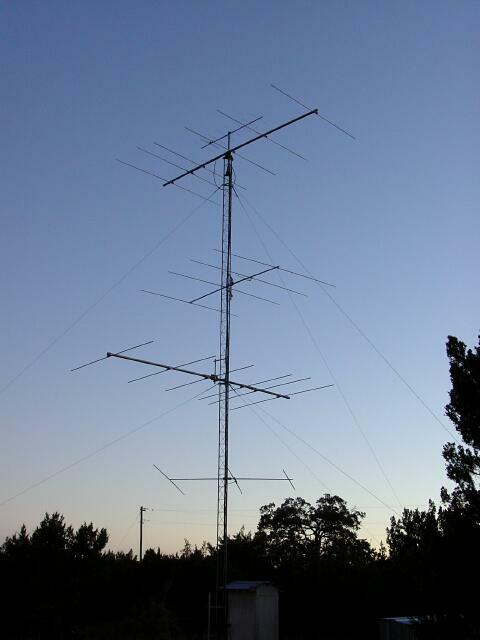 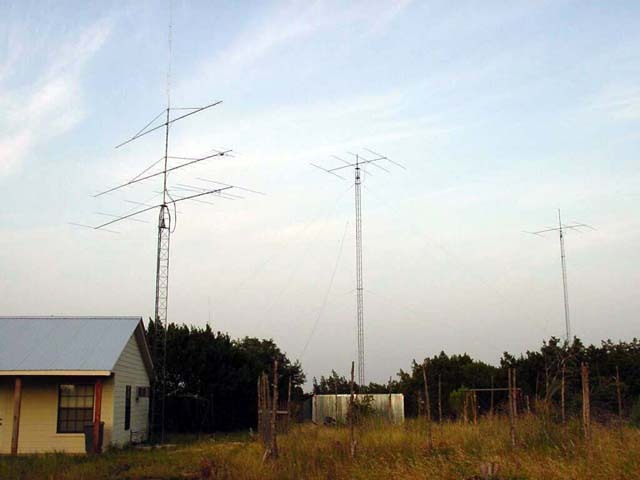 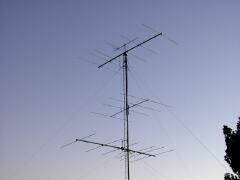 2 ele 40m yagi, 6 ele 20m yagi, 4 ele 20m yagi fixed on South america. 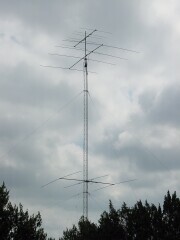 One of the 6 element 44' boom 20m yagis now at 90' with a 2 ele 40 above it. 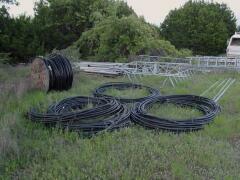 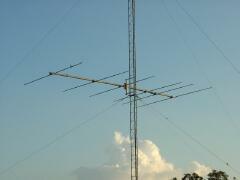 6 element 44' boom 20m yagi / 40-2CD. 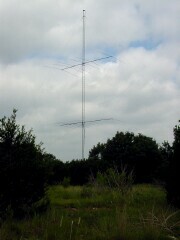 6 element 44' boom 20m yagi / 40-2CD above it. 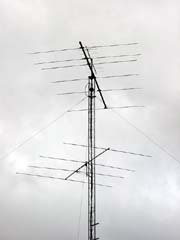 One of the 6 element 44' boom 20m yagis. 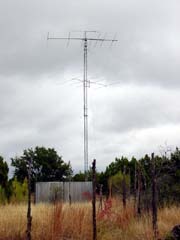 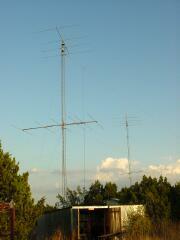 L-R VHF tower, 10m tower and 15m tower. 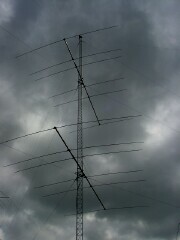 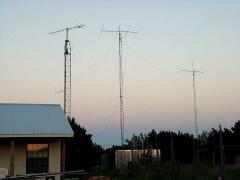 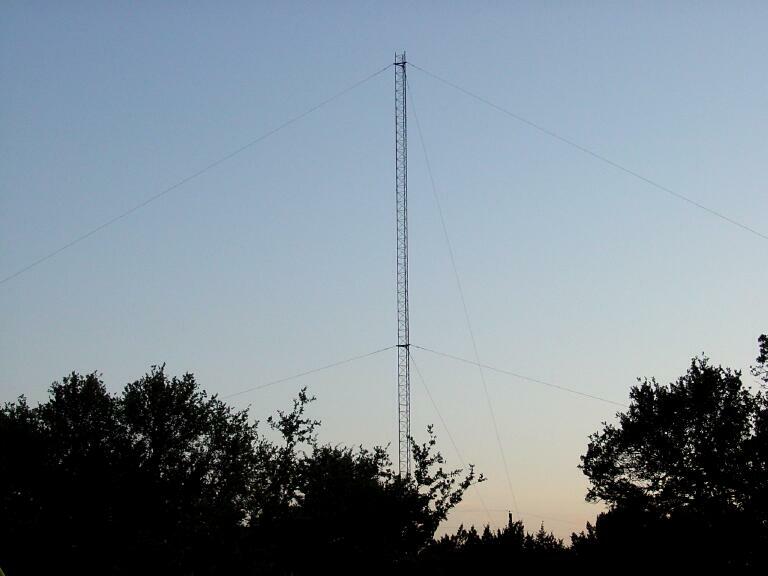 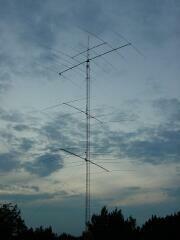 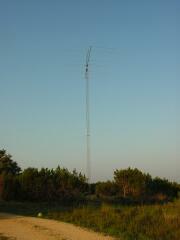 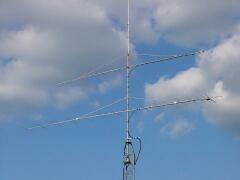 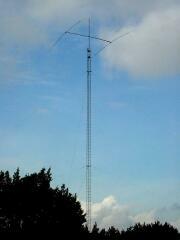 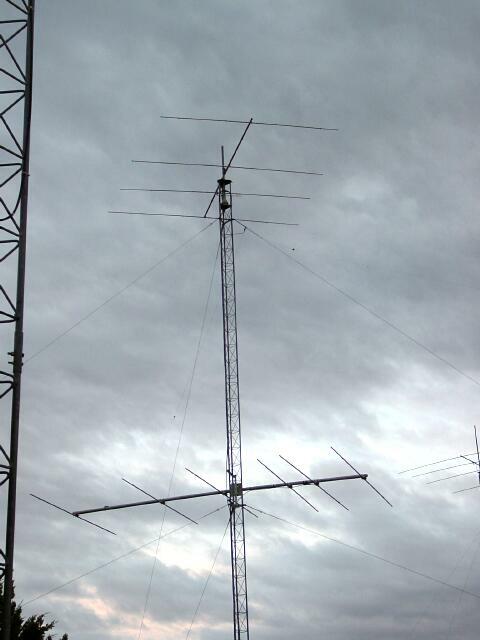 L-R The unfinshed 40m tower and the 20m tower with 4 ele 20 and 2 ele 40. 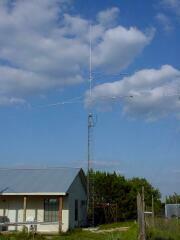 The new 432 Mhz and 144 Mhz yagis on the VHF tower. 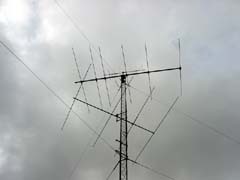 A closer look at the VHF antennas. 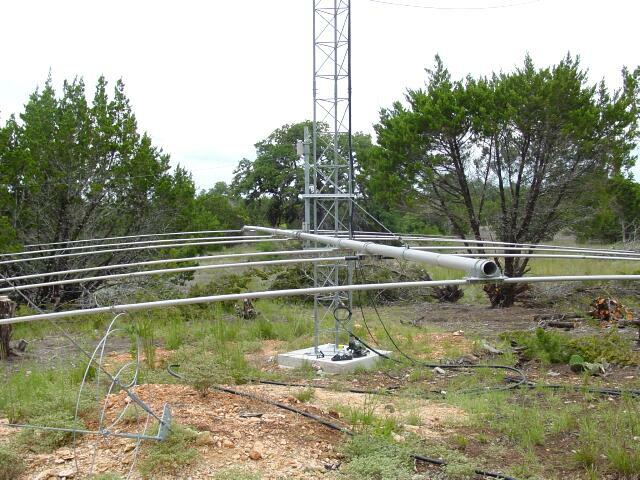 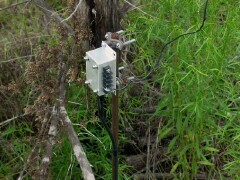 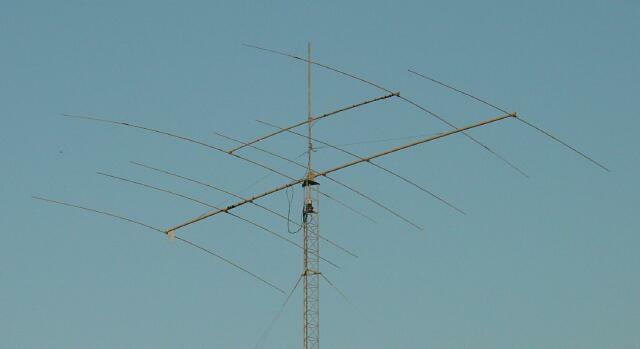 The 432 Mhz yagi is a Hy-Gain - 31 elements on a 24' boom. 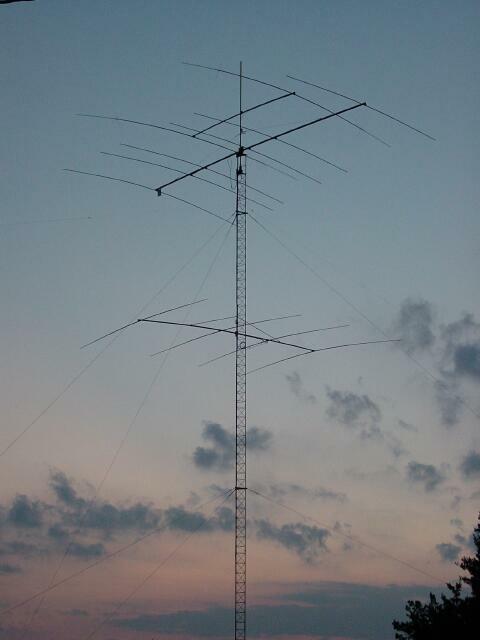 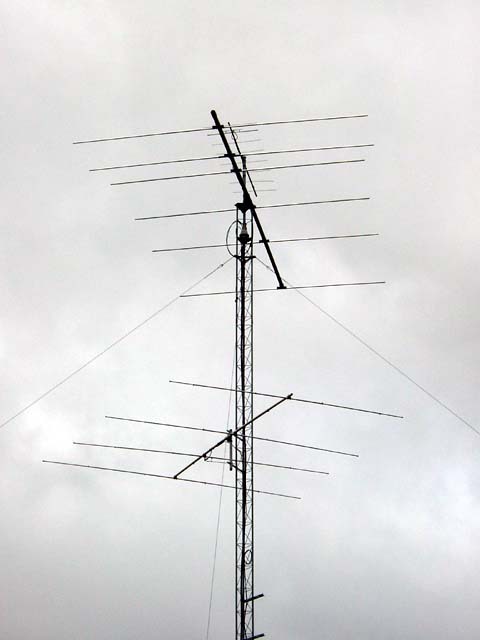 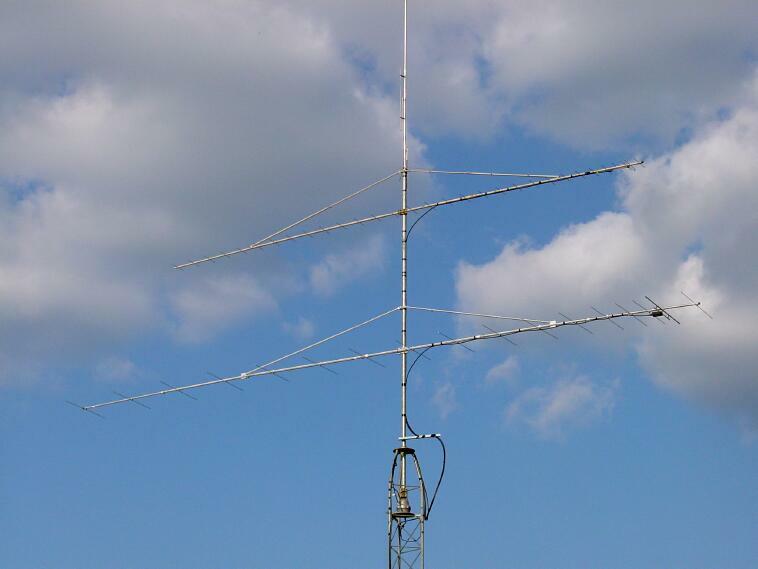 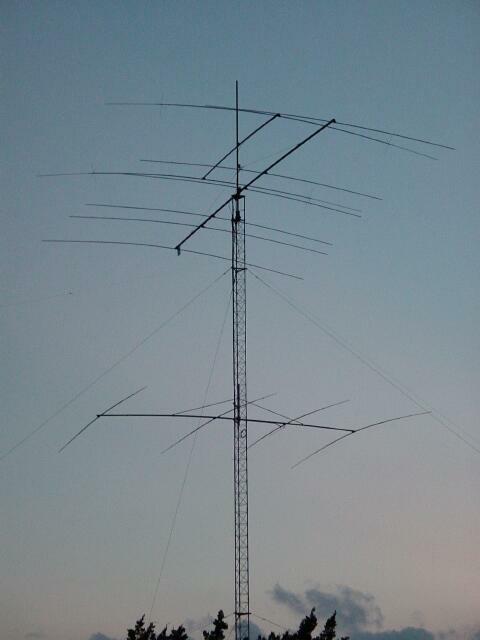 The 144 Mhz yagi is a Cushcraft 17B2 - 17 elements on a 30' boom. 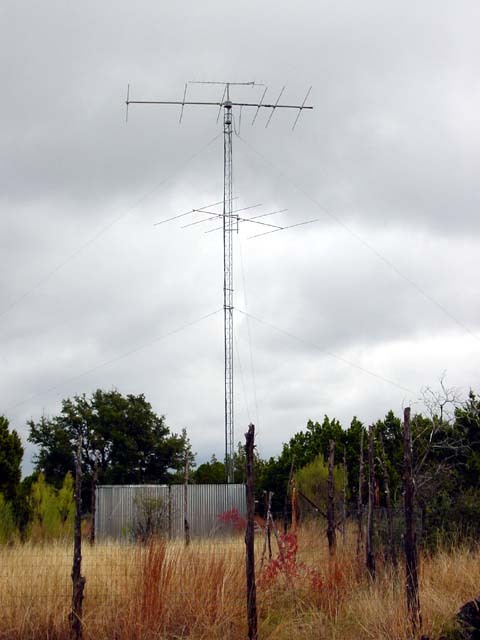 The Cushcraft 40-2CD 2 element 40m yagi at 90'. 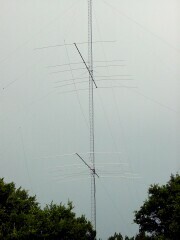 Two 80' 45g towers - unfinished. 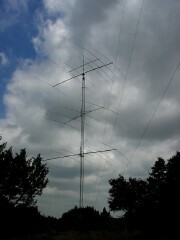 The most recent 80' 45g tower - soon to be 120'. 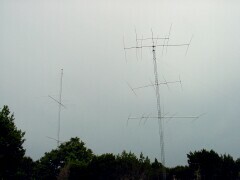 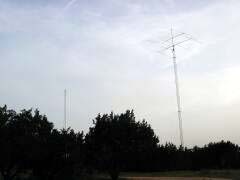 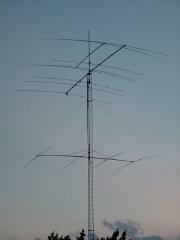 The other towers - LtoR 30' 45g-2m yagi, 60' 25g-10m yagi, 70' 25g-15m yagi.